Since Zac started school back in August last year, I started wearing makeup daily (Mon-Fri). Mostly, because I have scarring and blemishes, but I also just love makeup and it makes me feel better. Here are some of my current favourites that I've been reaching for most days. It's all about that BASE! As mentioned before, I have scarring and blemishes, so a good base is a must. I go between more natural and heavy bases, depending on what I need that day. 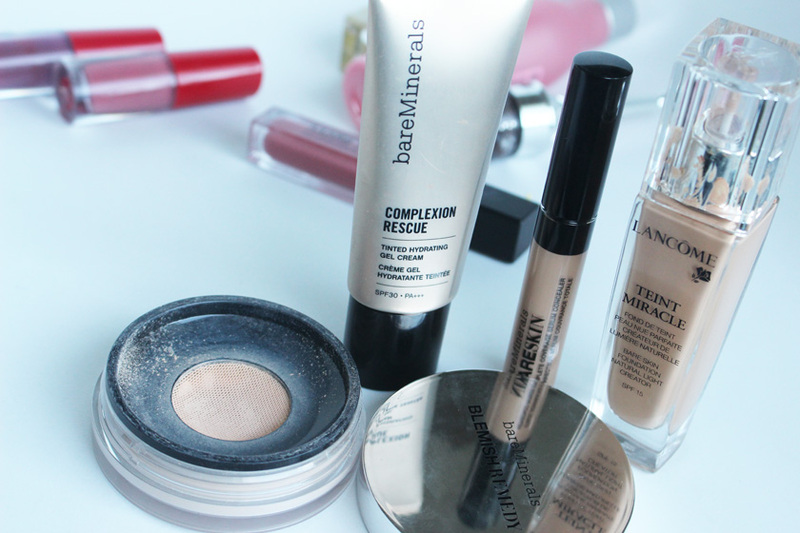 My go to light base at the moment is the BareMinerals Complexion Rescue* - hydrating, almost gel like and with pretty good coverage. If I need to conceal anything, I just use the BareSkin Concealer*- it's such a nice silky formula and looks very natural on the skin. If I need even more coverage, I just set everything with the bareMinerals Blemish Remedy* and my skin looks flawless. I don't wear such a heavy combo on my skin every day, but it's good to know, that I can cover up the worst breakouts and pigmentation, if I need to. 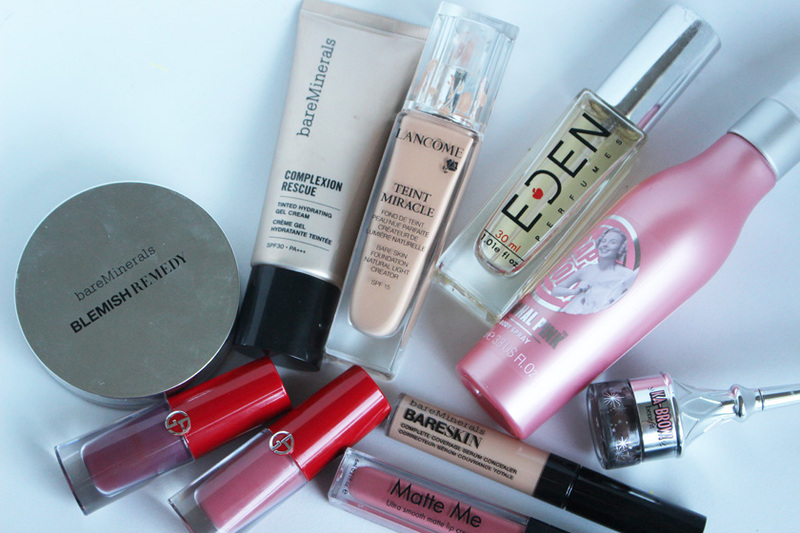 And when I want my skin to look absolutely amazing, I reach for my all time favourite foundation - Lancome Teint Miracle. It's incredible! I am yet to try Teint Idole, but I've heard that it's just as good. Teint Miracle is light, creamy, dewy and offers great buildable coverage. It feels so, so luxurious as well. I just keep repurchasing it, because I always need a bottle of it in my stash. when I want to achieve a stunning finish. I usually set it with Guerlain Meteorites for that extra touch of smoothing power and a nice glow. The Giorgio Armani Lip Magnets* earned my Holy Grail lipstick status a while ago and I don't think it will change anytime soon. The two shades pictured above are insanely beautiful and the formula feels like second skin. Lightweigth, nicely pigmented and long lasting. 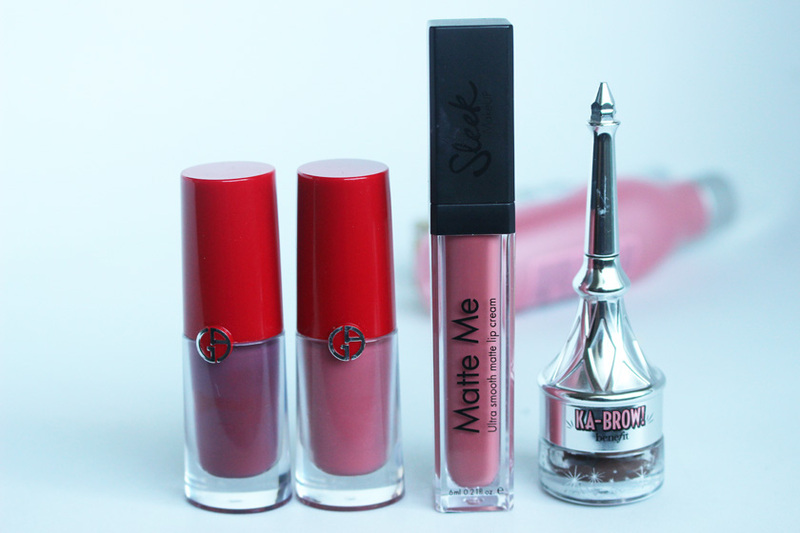 And when I am saving up my Lip Magnets and want something more affordable to wear when I am grocery shopping, the Sleek Matte Me Lip Creams are a great alternative. 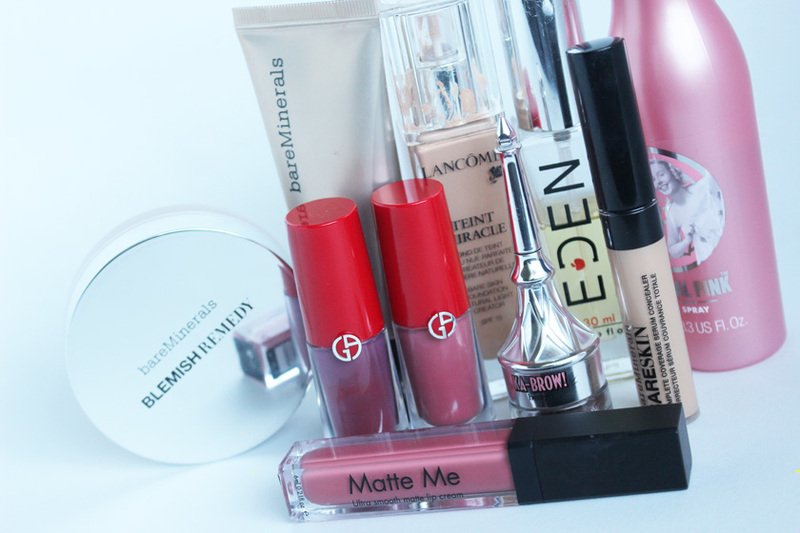 I am also loving the Too Faced Melted Matte Lipsticks, especially Bend & Snap! Such a gorgeous colour! And for my brows, I cannot recommend Benefit Ka-Brow* enough! It's such a great formula. And it comes with a little brush too, so you can do your brows on the go. You can be as subtle or as bold as you wish with this product, from drawing individual hair strokes to filling in the full brow. I took these photos a while ago, so I am now onto a different selection, but I wanted to mention these two lovely fragrances. Both very affordable! The first one is by Eden Perfumes and it smells like the discontinued Gucci Envy Me 2 (the tall bottle with green perfume inside). It is one of my all time favourites and having it back in my life is amazing! So many memories! 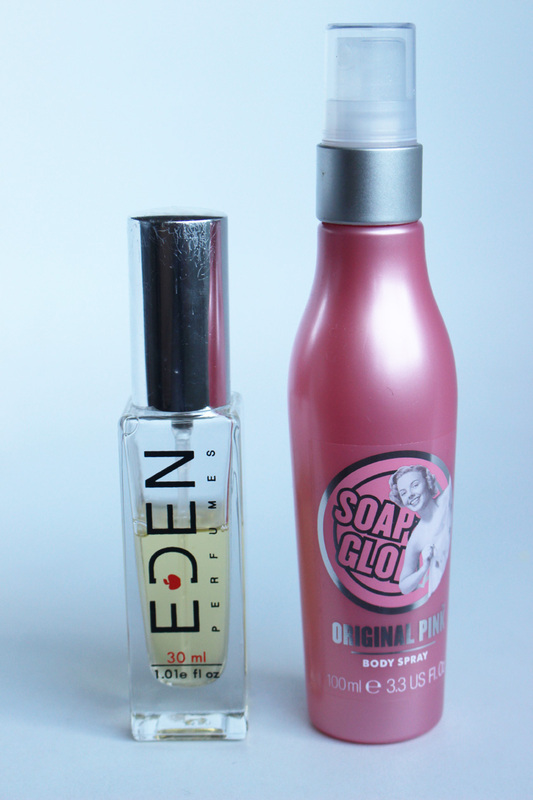 I have also been loving the Soap & Glory Original Pink Body Spray. It smells so clean and fresh! And it's only £4.00! So good!